Twelve Cupcake Lucky Chinatown Branch. Milk in a cookie mug. Yey! 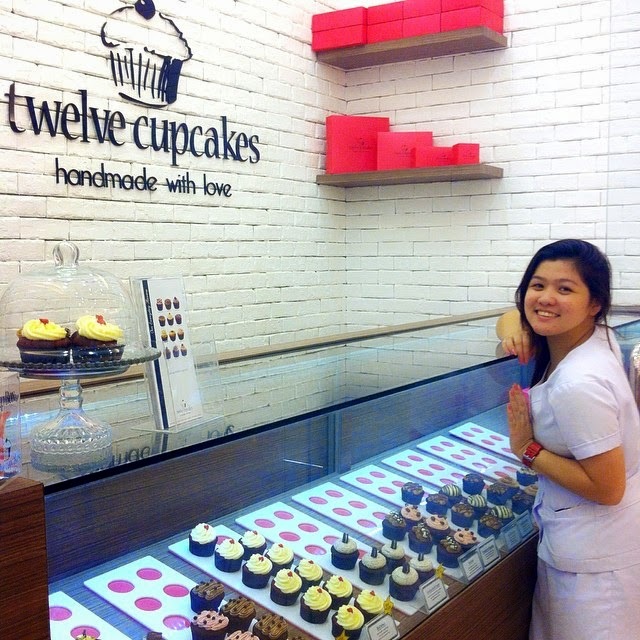 I got really happy when I saw in my Instagram explore feed that there is already a branch of twelve cupcake here in MNL. It was one of my favorite cupcakes I ate when I was in Singapore. I crave at that very moment to taste it again because I ca't go travel back to SG just to ate a cupcake right? But I wanna put it on my bucket list! hahaha. I also search for the nearest branch and I was happy that there is a Lucky Chinatown branch, one jeepney away from where I stay. 1 cupcake cost 85php, 250php for the box of three, 480php for the box of six and 900php for the box o 12. Another thing I saw in my instagram explore feed is this cookie mug! I really got fascinated by it and a little bit curious. Plus it is really unique. So even though Marikina is really far from Mendiola and take note, we were almost in Antipolo, we still manage to get there. You can choose the size of the cookie mug you want then it goes with a size of bottle of milk/chocolate/mocha/caramel that match with the mug. I was amazed by our experiment in our Cogno lab subject, Can you see the oil above the peanut? Well, to tell you guys this is my life as a pharmacy student. 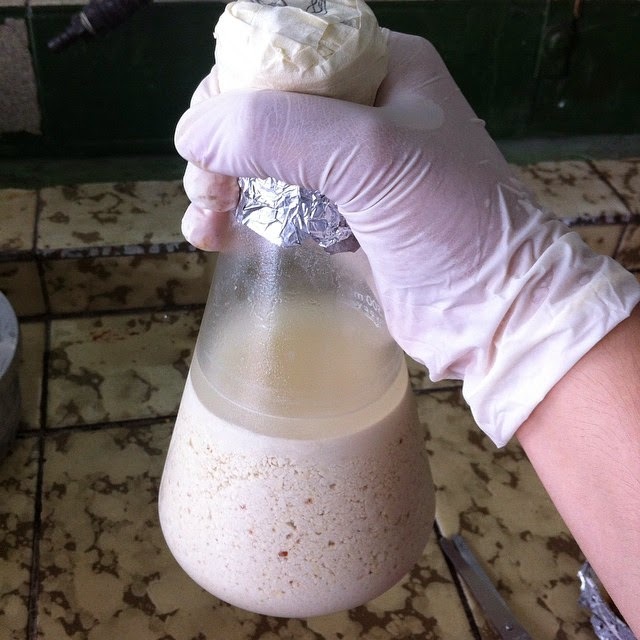 I always do different experiments that takes as more than 3 hours in a lab class. It is also one of the reasons why I don't do style blog often. 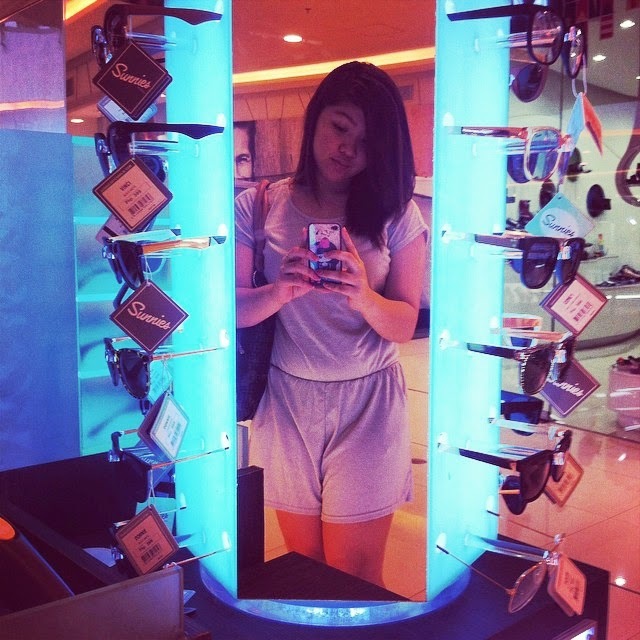 A new Sunnies Studios' branch just opened at Robinsons Magnolia and I am lucky to be given a free sunnies. Ps. I am the first one in the line. But sad to say none of them (Bea, George, Martin, Eric) is there. They just went the night before to fix things but they have different errands to do that day so they didn't make it. But I really hope to meet them soon. Disney Land was brought to CEU Mendiola by the NHM department last September. 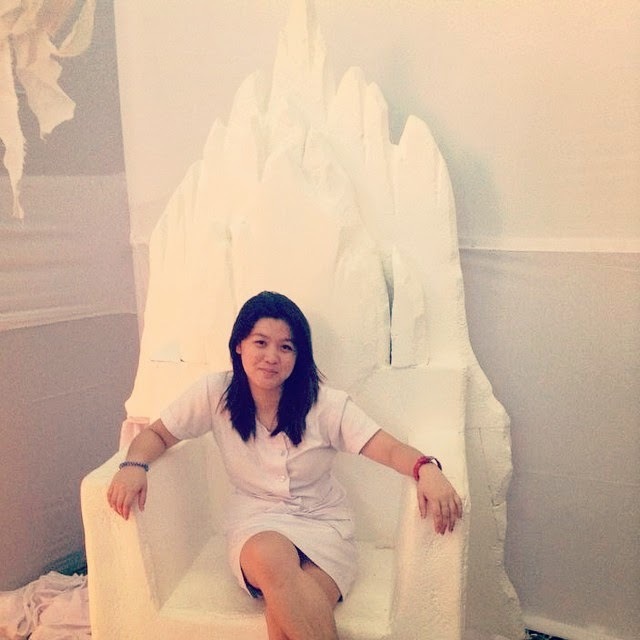 So as you can see I am sitting at the white witch throne. They also have the frozen castle, peter pan, of course mickey mouse is there in the entrance and many other disney characters. It was one of a kind and hands up to the NHM Department, they're really good at that. 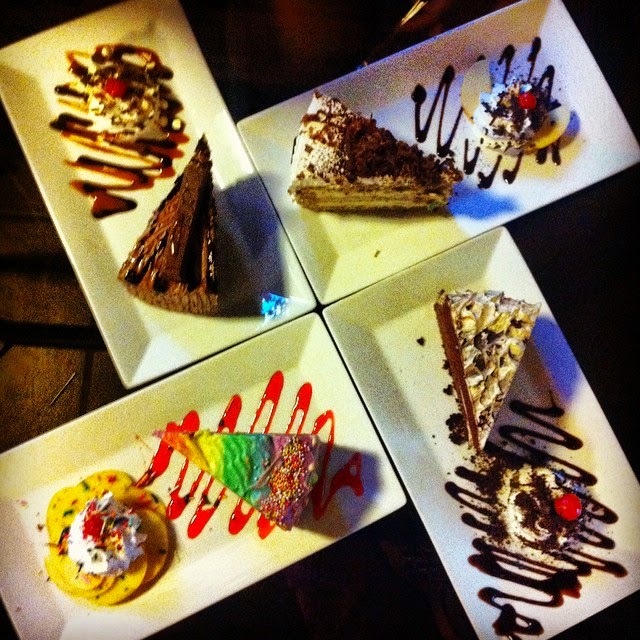 Cakes and Desserts. So the semester is about to end and we really have so many things to do on different subjects. Luckily I have my close friends to be with me as a group. We have to do the Microbiology case analysis plus the the Cogno report plus the Pchem journal. 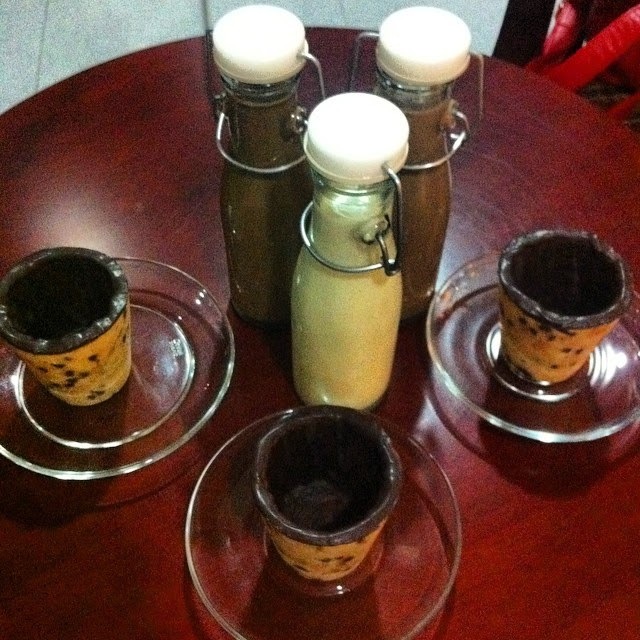 We planned to do it at Cafe UK at P. Noval near UST. But we end up to be taste buddies and I don't think we are productive. So I choose the Rainbow Cake and it tastes so good. We even ordered a carbonara plus our coffees. Hahaha. I fell in love with plain tees. So when I went home to Batangas for a weekend I bought two plain tees from bench 1 white and 1 black and it really looks good on me. I even used it that same day, hahaha! 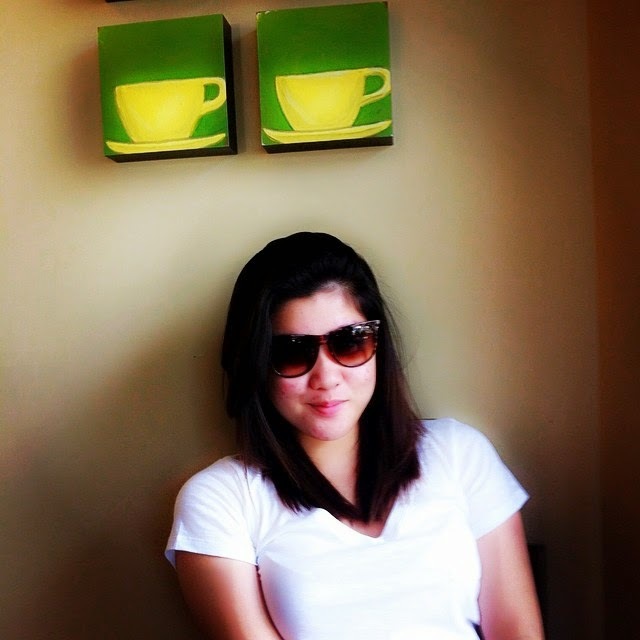 Then we went to buy a coffee at SB Lipa, my treat. I am with my sister and 2 cousins that day. So I recommend you to try those shirt from bench because it is so comfy. So as you will notice I am still wearing my comfy plain shirt from bench because I am so tired and ended up sleeping and waking up the next day. 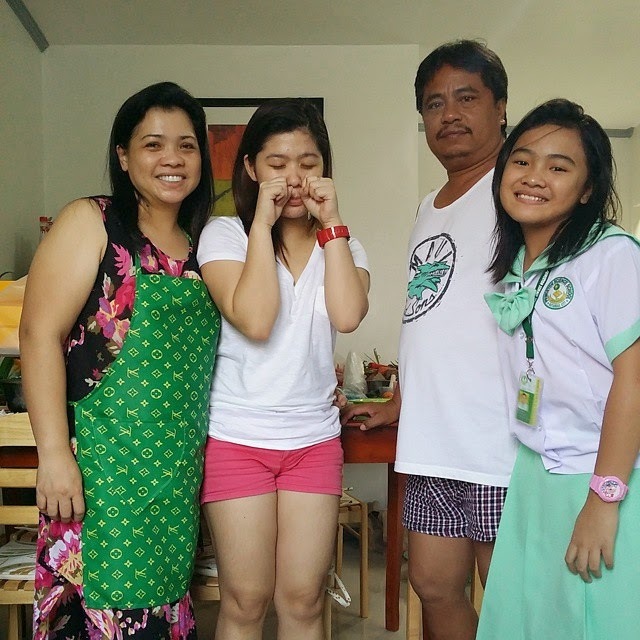 I am going back to MNL that morning so before my sister go to school we took a very cute family picture. Look at me in there, I was having a SEPANX or the separation anxiety even though I am not yet leaving! hahaha. I love Starbucks! Who didn't? haha. 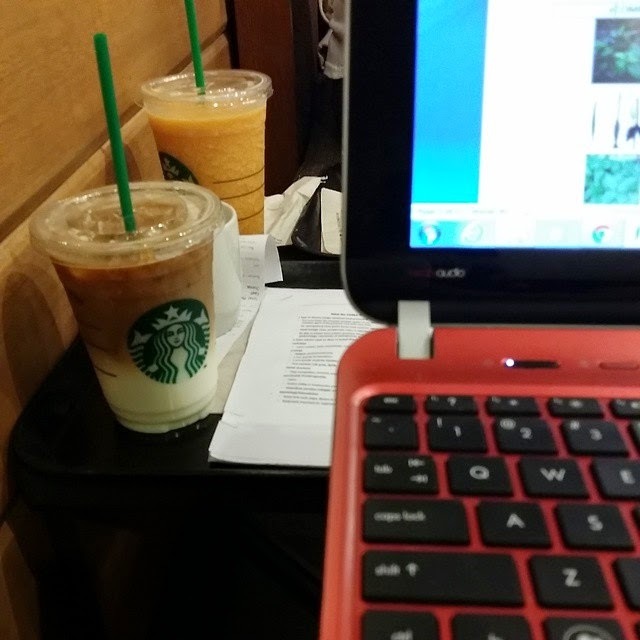 I love to study while having may favorite Caramel Machiatto. It was when we were having a Quiz Festival (yeah, pharma student call it festival) so we really need to stay awake until morning comes. Cry cry!! And that's all for my September. Sorry for late blogging. October will be posted so sooooooon!